Channel manager Telecafé, Gloria Beatriz Giraldo Hincapie, He congratulated all the talent of different products for the effort and highlighted the support of the National Television Authority, In addition to the governors by the Coffee confidence in the Canal to move forward with important audiovisual projects. The vote will be divided into two stages: the first was the 22 June to 5 of July, in which you can vote for favorite artists and 6 July to 11 August winner will be chosen. 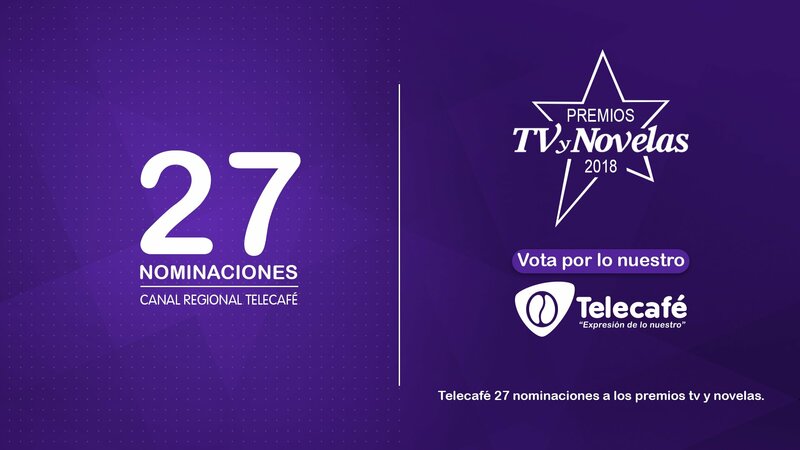 One of the great productions of Telecafé was Cimarrona, which whatever with seven nominations for the version 2018, newscasters, variety shows and Superprbreman, They are also strong candidates to gain recognition. Favorite Lead Actress Telenovela or Serial – Valentina Maturana- Sonia in Cimarrona. Favorite Actor Telenovela or Serial – Leyton Palomeque – Freddy a Cimarrona. Actor or Actress Telenovela or Serial – Deysi Caicedo- Azucena in Cimarrona. Favorite Soap Opera librettist or Series – Natalia Ospina – Cimarrona. Favorite Soap Opera Musical theme or Series – I am that - Cimarrona. Serie Telenovela the Favorite Regional Channel - Cimarrona. Favorite presenter Varieties – Daniel Betancourth and Manuela Callejas in Hi Axis; Maria Paula Brown and Juan Pineda Lynce in Area 53. Program presenter opinion or Noticiero Favorite – Ruben Dario Gaona and Daniela Arias by Telecafé News. Opinion or program Noticiero Favorite – Telecafé News. Comedy show, Favorite sports or Varieties – The next comedian – Comedy show. Poor Super Man - Humor Program. Telecafé Sports "Enduro World Series" - Sports. the Yipao – Hello varieties Axis- area varieties 53- varieties.